316 Caledonia Road is home to the Southern Necropolis, the lesser-known, younger brother of the Glasgow Necropolis. However, this is not to say that it is not historically significant. It is home to some of the great and good of Glasgow, including a number with direct connections to buildings on my list! 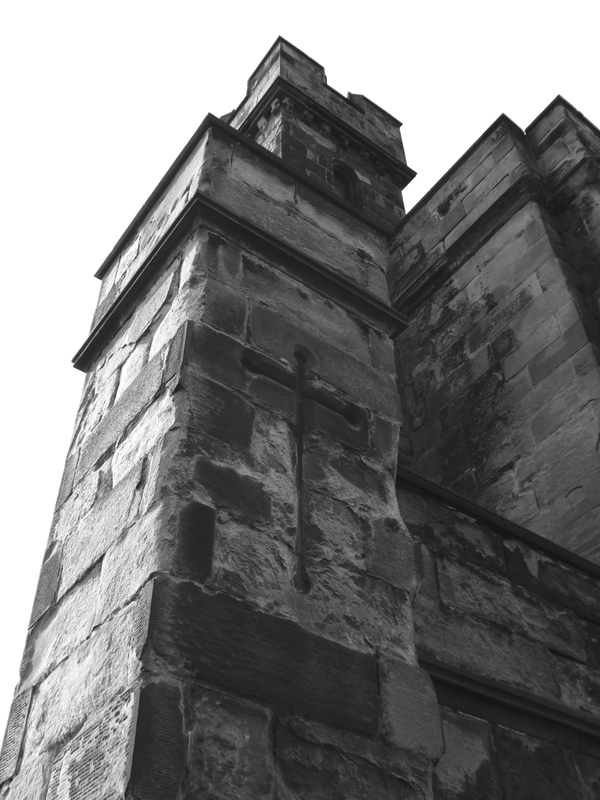 Furthermore, whilst it’s northern counterpart is home to 50,000 souls, the Southern Necropolis has seen 250,000 internments, not to mention a 1950’s gang of vampire hunting children! The decision to establish the Southern Necropolis was taken in 1838 and it was officially opened in 1840. 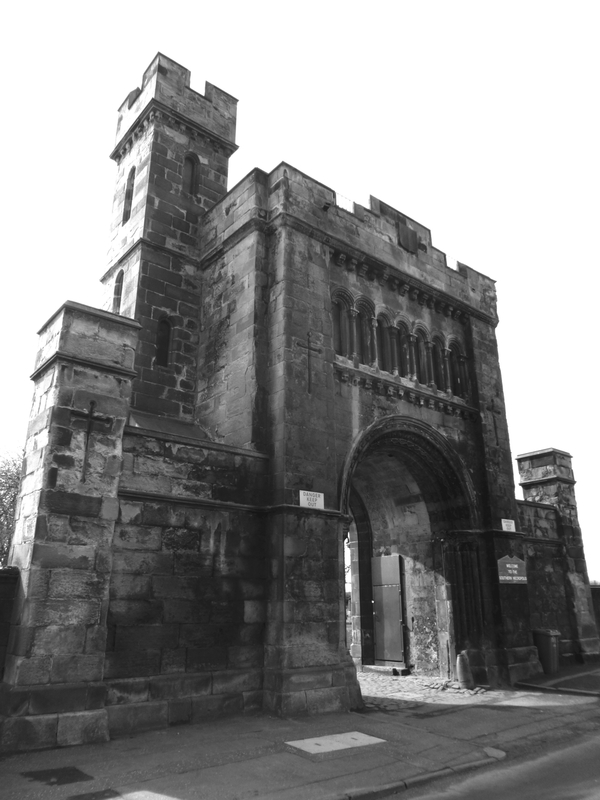 It proved to be incredibly popular, with all the lairs in the central section being sold by 1846, providing the impetus for further expansion and the construction of the Gatehouse. 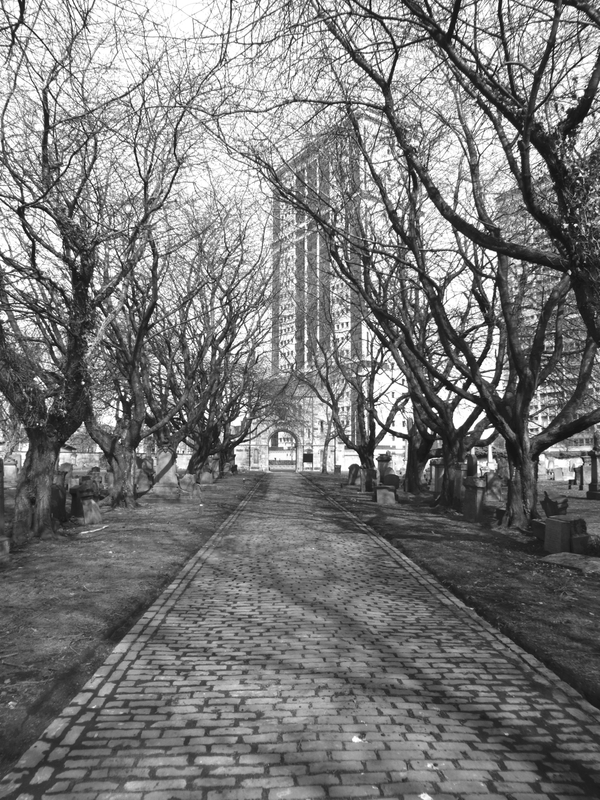 Notable residents include, twenty Franciscan Benefactors, part of the group who were responsible for commissioning the A-listed St Francis Church in the Gorbals, the architect James Napier Cousland whose designs include the A-listed Kibble Palace, James Salmon (Senior) who was responsible for the A-listed Union Bank on Ingram Street (now the Corinthian), and the builder James Goldie whose masterpiece is the A-listed Templeton’s Carpet Factory. 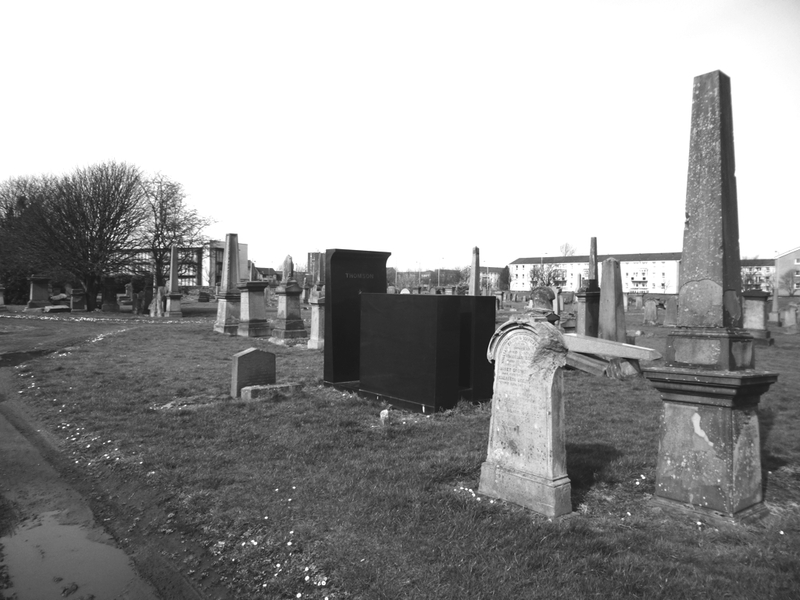 The Southern Necropolis is also home to one of Glasgow’s most famous architectural sons, Alexander ‘Greek’ Thomson, who is memorialised by a sparse black granite block. The design for the monument was chosen through a competition appropriately organised by the GIA given that Alexander Thomson was a co-founder and president of the organisation. Despite this I must say that when I went to pay my respects I felt it was an unusual tribute. The use of black granite sets it apart from every other headstone and seems an inappropriate choice for a man famed for his use of sandstone. The lack of ornamentation was obvious too, a seemingly glaring omission for an architect who was renowned for symbolism and the utilisation of Egyptian and Greek elements in his architecture. 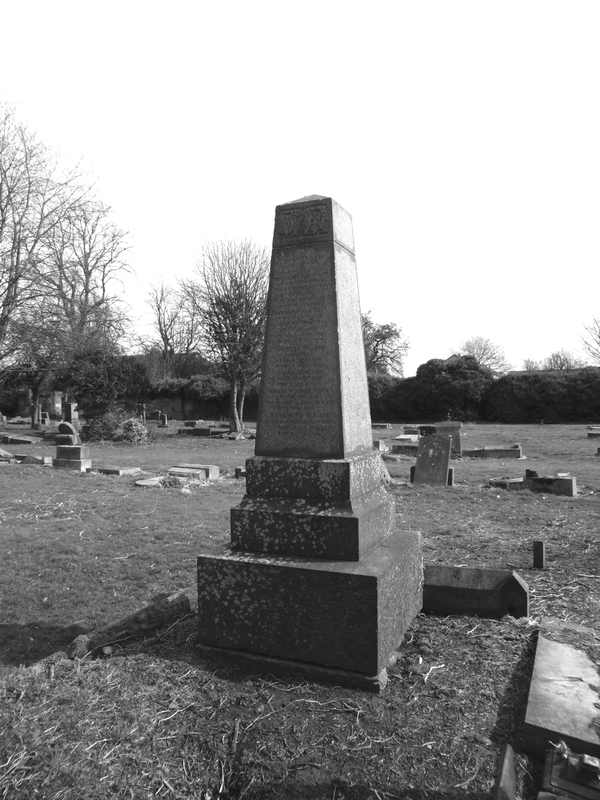 Furthermore, having visited the various monuments designed by Thomson that reside in the northern Necropolis it would appear that the tomb constructed for him lies in stark contrast to his own idea of what a memorial should be. However, this is just a personal opinion and I can appreciate the fear of the pastiche that could have emerged should the designer have attempted to develop a neo-Classical memorial instead. And anyway, one only has to walk two minutes down the road to appreciate the greatness of Thomson at his Caledonia Road Church. The final internment I will mention is Charles Wilson who was a prolific and brilliant architect responsible for the design of the Park District in the West End and many other impressive buildings in Scotland. Wilson was also a founder member of the RIAS as well as preceding Thomson as GIA president. Most importantly though for the purposes of this post, Wilson was responsible for the design of the A-listed section of this site, the gate lodge. Completed in 1848, Wilson’s gate lodge is an elegantly composed asymmetrical neo-Norman block rising in three stages to its crenelated peak. Despite it’s small size it manages to cram in a number of typical details that mark it out as Norman, thick walls that give the impression of it being one massive structure, small arched windows with hood mouldings, the use of crenellation on the tower and above the main lodge, and most significantly the intricately carved arch with its zig-zag pattern mouldings. The buildings bulk is once thought to have concealed the waiting room, cemetery offices and gardeners store, however now only serves the latter purpose. Whilst falling into disuse the building has also fallen into disrepair. 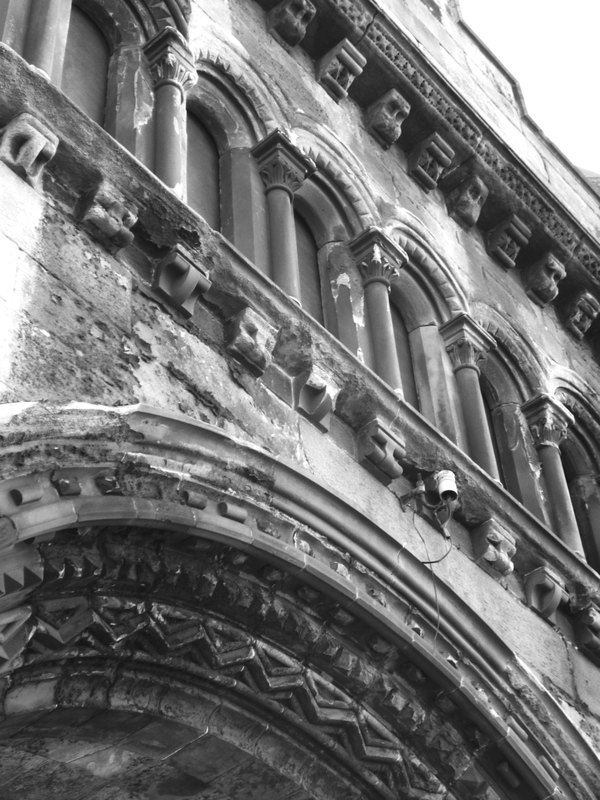 A significant amount of the stonework is spalling, the decorative mouldings are worn and losing their detail and the oriel window to the south elevation has collapsed. There is evidence of some basic repairs having been carried out in the past as well as a steel structure being introduced to support the remainder of the oriel, however the building requires more than just patching up and certainly merits a comprehensive restoration. The Buildings at Risk register provides a breakdown of the attempts to find an ongoing use for the building and to fund conservation works. These included plans in 2002 to restore the building for us as a genealogy centre, but despite the business plan being shown to be economically viable the project was sadly never delivered. Since then there appears to have been little serious interest around the restoring of the building despite it being the entrance to the resting place of a quarter million of Glasgow’s citizens. When you consider the volume of people who must have passed through this arch in the last 167 years in order to say goodbye to loved ones or pay respect their respects to those passed, it’s hard to deny that it is a building of great local significance. Not only that, it serves a purpose, when you enter into the necropolis and are enclosed by the lodge and the long and tall boundary walls that stretch out from either side of it you feel like you are stepping out of the city and into a different place. The overgrown nature of the space means that it is home to many birds and other wildlife and their noises become the primary sound above the nearby roads and motorway. The lodge and the act of passing through its portal play a part in creating a place of quiet reflection. However, it’s importance is not only socio-cultural but architectural, it is a rare example of the use of the neo-Norman style within Glasgow (with arguably Wilson’s best example, Lennox Castle, located outwith the city boundaries) whilst the sculptural quality of the building’s facades with its elaborate mouldings, small arcaded windows and crenellated parapets, that have been expertly composed by Wilson make it a building that deserves to be properly rehabilitated. Hello from one Glasgow fan to another. What a fabulous project! I shall follow with interest. 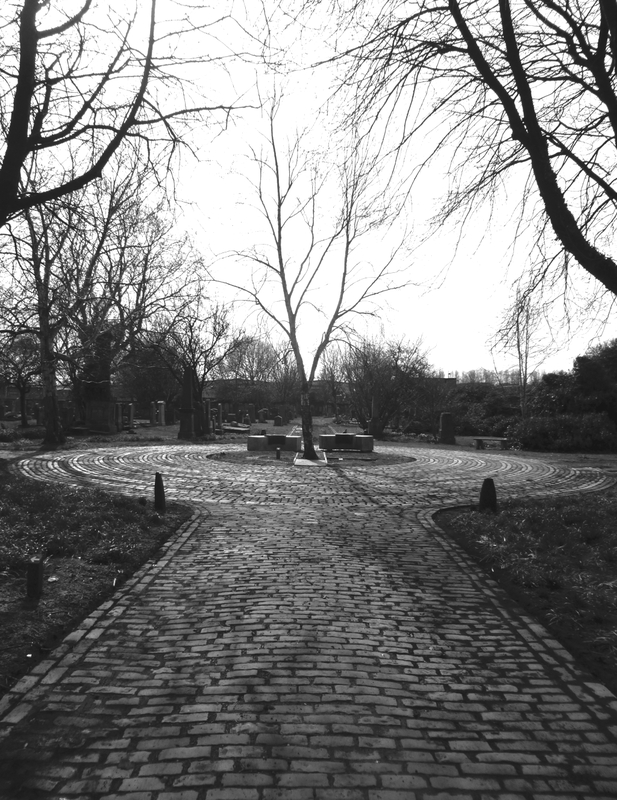 I walked round the Southern Necropolis last year for a post on the Gorbals. I also agree that the Mitchell should be listed. Thanks Anabel! Been really enjoying your Gallus Glasgow posts too! Thanks -the blog is not usually so Glasgow-centric but the city does appear more than most for obvious reasons a) I live here b) it’s wonderful! Hello Scott and thank you for following one of my blogs. Great to have found your blog on glasgow architecture- I will follow the posts with interest. I am ashamed to say ( as a south sider) I only knew of the wonderful necropolis. Thanks Anne! Happy to be following your blog too, although it is particularly stomach-rumble inducing!